Taking the children on a small ship expedition cruise to an exotic destination is a no brainer when it comes to a one-size-fits-all family vacation. So explains cruise expert Todd Smith, founder of AdventureSmith Explorations and speaker at the upcoming TMS Family Travel Summit in South Walton, FL. “Our emphasis on small ship expedition cruises and land-based wilderness adventures aims to bring families of all ages together while experiencing the world’s most spectacular regions in security and comfort. We use the firsthand experience of traveling with our own children, parents and grandparents to help clients choose the right itinerary and ship for today’s family,” Smithexplains. Smith points out that different vessels (ranging in average size from 12 to 100 passengers) and off-ship focus can shape the overall cruise experience. It is important to know what amenities are offered, what daily activity options there are, what the cabins are like and if kid-friendly meals are served…just for starters. That’s where the sage advice and insider’s expertise of a helpful consultant comes into play. 1. Safety. Small ships offer a contained, controlled environment, allowing families to travel to remote wilderness locations and into new cultures comfortably and safely. Small ships allow guests to paddle in front of a glacier, walk a remote beach with no other footsteps, encounter wildlife and visit isolated villages—experiences that can prove difficult for families to achieve on their own—in a secure, efficient and child-friendly way. 2. Action. Off-vessel activities such as hiking, kayaking and snorkeling offer a chance to get away from the ship to experience nature and culture up close. Soft adventure options allow the whole family to experience the wilderness together on excursions like guided paddle trips through mangrove swamps and skiff tours looking for wildlife. It’s important to note that off-ship activities are usually included in the cruise tariff. 3. Choice. One of the best features of a small ship cruise is the ability for each guest to chooseadventures based on ability levels. For example, on a recent cruise in Mexico’s Sea of Cortez, anAdventureSmith traveler was able to snorkel with her brother at a sea lion rookery, while her father took a guided skiff tour in the same area, photographing and waving to her while she was in in the water. Hikes are often offered at varying distances and terrain difficulties, and there’s always a choice for quiet time on board. 4. Education. 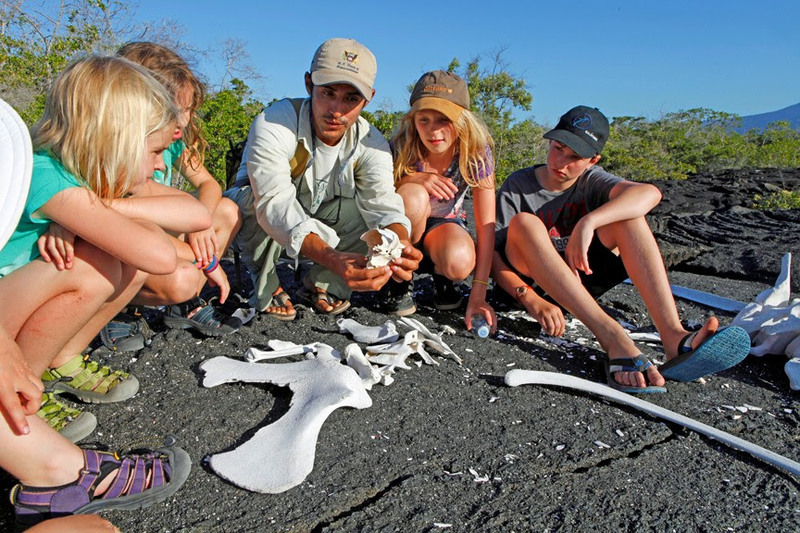 Naturalist guides are trained to work with younger travelers and keep kids excited, engaged and learning about wildlife, conservation and sustainability. Shared family experiences on board and off instill a lifelong love of nature and travel, while creating memories that will last families a lifetime. 5. Connection—and Disconnection! Televisions, movies and video games take a backseat to once-in-a-lifetime experiences. On most small ships, a family usually disconnects from devices and reconnects with each other and nature. Think no cable TV (DVDs are often available for movie-watching in cabins), and often no cell service and WiFi due to cruising in remote wilderness regions. 6. Camaraderie. While every day is a new adventure on a small ship cruise, the crew and guides are constants who encourage conversations with them and other passengers. The result? Everyone comes away with new friends. 7. Consistency. As accommodations are the same each day and night, children will rest well without the hassles of packing and unpacking. Meals are intimate and many diets and preferences can be accommodated with prior notice. Because kids have special tastes, menus are often arranged to satisfy their appetites and meal times. 8. Custom. Think about the fun when traveling with other families. Some small ship cruises have family-designated departures. This means that likeminded families with children of similar ages enjoy such added-value programs as crafts, pizza and movie nights and more. 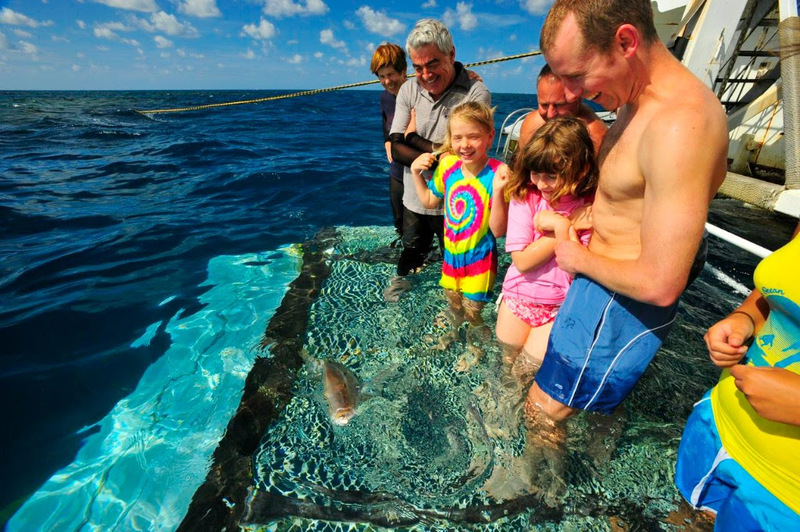 Or large families may customize their own cruise by chartering an entire ship. AdventureSmith offers charter options with as few as eight guests. 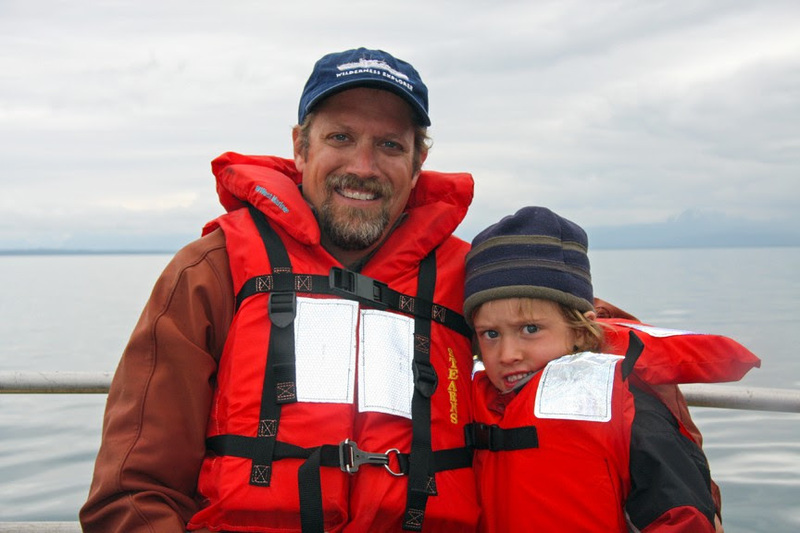 AdventureSmith’s Todd Smith is a testament to all these points, as he has traveled extensively with his wife and two young boys around the world, and chartered a Galapagos yacht specifically for family travel. Read about his Galapagos family charter and how/why he chose the yacht he did, and more details about family travel with AdventureSmith. 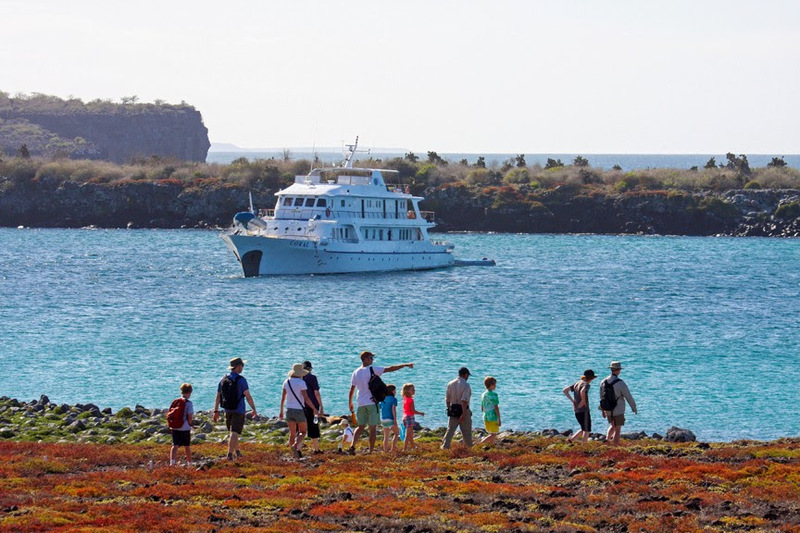 -Ecuador: Eclipse Galapagos Cruises – with designated family departure dates. 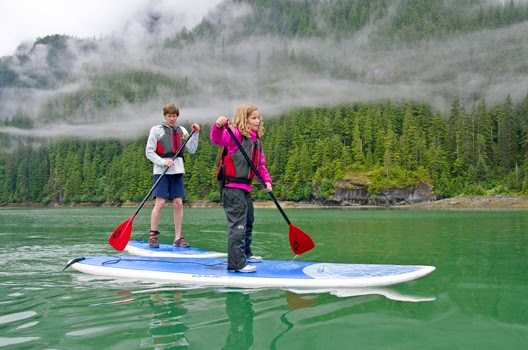 -Pacific Northwest: Northern Passages and Glacier Bay – an active wilderness cruise with multisport activities that offer a variety of levels and options for entire family. -Central America: Costa Rica & the Panama Canal - explore the region with top guides, special rates for children. The season is wintertime; November through March. For information on all of AdventureSmith’s small ship cruises, itineraries, availability and 2016-2017 reservations, telephone 800-728-2875 toll-free or visit www.adventuresmithexplorations.com.